Il Best Western I-5 Inn & Suites è situato nel centro di Lodi. L'hotel è vicino alle principali attrazioni turistiche. Approfittate tutto l'anno del miglior prezzo garantito e di offerte esclusive. Benvenuto al Best Western® I-5 Inn & Suites!Dalle aziende vinicole alle gru delle dune, la zona circostante il nostro hotel di Lodi offre qualcosa di interessante per tutti e noi accogliamo ogni tipo di ospite, dai viaggiatori d'affari alle coppie in luna di miele. In questo hotel di Lodi, situato nei pressi dell'Interstate 5, soggiornano molti visitatori attratti dalla degustazione di vini. Grazie al comodo accesso alle superstrade, potrai visitare le aziende vinicole in tutta comodità o, se sei un viaggiatore d'affari, raggiungere in breve tempo il luogo di una riunione importante. Tra i nostri ospiti regolari vi sono dipendenti di General Mills, Lodi Memorial Hospital, Ensign Drilling e Lucero Farms. Vicino al nostro hotel di Lodi potrai procurarti tutto ciò di cui hai bisogno, dal cibo alla benzina. In ogni caso, è il turismo del vino a portare in questa zona la maggior parte dei visitatori. Molti sono qui anche per visitare il delta del fiume Sacramento e gli appassionati di attività all'aperto, qualunque siano i loro interessi, scelgono questa regione per riposare e rilassarsi. L'Asparagus Festival a Stockton, California, è una gioia incredibile per gli amanti della buona tavola. Le celebrazioni della Madonna di Fatima a Thornton, California, sono un'altra attrazione turistica molto popolare. Il Bass Derby Festival e lo Zin Wine Festival sono soltanto due degli eventi più attesi che si svolgono durante l'anno. I luoghi che li ospitano sono tutti a breve distanza in auto dal nostro hotel di Lodi. Il nostro hotel rappresenta un punto di sosta comodo tra Seattle e Los Angeles. Qui le persone possono fermarsi per un sonno ristoratore e la mattina successiva fare il pieno di energia e proseguire verso la propria destinazione. Lodioffre oltre 80 aziende vinicole aperte alle visite e alle degustazioni e molte persone scelgono di restare un po' più a lungo per godersi qualche assaggio. Qui si intersecano l'eco-turismo del delta e la pratica degli sport acquatici: non c'è luogo migliore di questo in cui soggiornare se ami le avventure all'aria aperta. Nel nostro hotel di Lodi ti attendono biancheria da letto di lusso e camere spaziose e tranquille. Il nostro servizio è il migliore della città e si combina perfettamente con i confort e la qualità che offrono le nostre camere. Prenota oggi stesso al Best Western I-5 Inn & Suites e preparati a esplorare uno degli 80 vigneti della zona! We enjoyed our stay there and will definately go back there again. Best Western is always a good place to stay.The pool area is small but nice and breakfast is good. Rooms are servicable and clean. The price was in line with other Inns in the area. The front desk staff were friendly and informative about the wineries in the area. "Great place for a family stay!" The hotel was bright & clean. The staff was great. This was a wonderful stop during the long drive for our family! The room was spacious and clean allowing our 1 year old to run around and burn through her energy. The beds were extremely comfortable for all of us as well!! I stayed for two nights, and other than some noise on the floor above, I had two good nights. One interesting thing was that they don't have carpet floors, but tile/wood. Bring your slippers. The breakfast was good, with hot oatmeal, and the normal hot items. Everything about our stay was nice from the staff we encountered to the condition of our room and the hotel amenities. Our room was on the 2nd floor and was immaculate- looked newly renovated. The bed was hard but I know that's a personal preference issue. The pillows and bedding were nice. Another reviewer mentioned how small the pool is. It's hard to tell from the pictures but let's just say, we laughed when we saw it. It's really small. No complaints here though. Our 5 & 7 year old still very much enjoyed it after a long drive and being indoors was really convenient. The spa is also great. The water with orange slices, water with cucumber slices, coffee, hot water for tea & cocoa and cookies in the lobby are very welcoming. If you're a very light sleeper, the road noise might occasionally bother you at night. Grab & go breakfast options were perfect for us as we needed to leave early. It is hard to find reasonably-priced comfortable hotels in Humboldt County. This was a nice surprise. Price was good, room was clean and roomy. The bed was comfy, though the pillows were too big. It has easy access from the highway, and easy access to Arcata. Thanks! Thank you for your review. We value your feed back and appreciate your business. We hope to see you again soon. 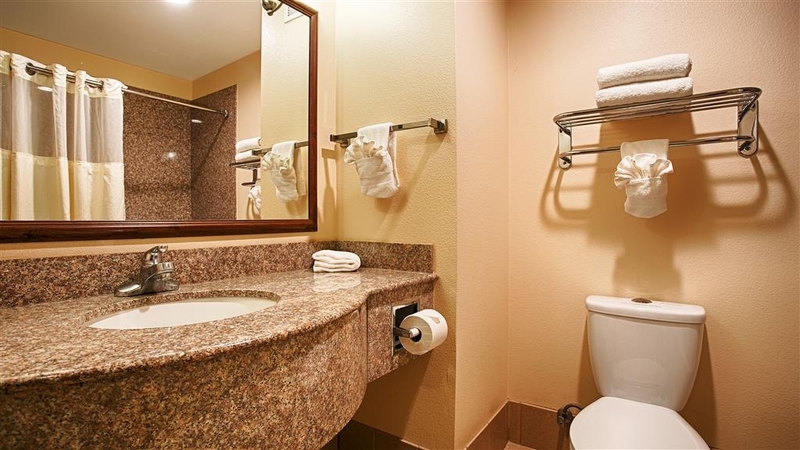 "Location was ideal for our needs"
The Hotel looked recently remodeled.The staff was very friendly and helpful.The amenities, WiFi, Breakfast, Jacuzzi, Microwave Ect. worked as advertised.We will be staying here again on the next trip to the area. Thank you for your 5 star review. We value your business and your feedback and we look forward to seeing you again soon. "Trying to be a hotel, but feels like a motel." Okay, I usually give places the benefit of the doubt, so I did two stars here. It feels like the hotel is trying, but it's not there yet. There was a definite "funk" to the place, especially our room and just outside the elevator. Our room smelled like it was a smoking room not long ago. The room was clean, though, and the bed and pillows were comfy. The shower head and pressure was awful. The pool is laughable: it looks like an infinity pool without the infinity. Forget about your kids playing if there's more than two or three. The hot tub was okay, except when we got out we noticed we stunk like....something bad. The tub needed cleaned badly, probably drained. There were no towels in the pool area - and had to wait for the one poor staff member at the front desk to finish with the person before we could get any. I'd sleep with your window closed, the trucks at the truck stops and freeways are pretty noisy, but that's on me. Skip the breakfast. There was hair in the potatoes, the gravy was almost empty (I scraped the bottom) and it was so awful tasting I threw it away. Eggs were okay: your generic mass produced scramble. Now, to be fair here....The hotel had signs all over saying they were in the process of upgrading and remodeling and to bear with them. SO....it really feels like this was a Motel 6 that is being upgraded, or is TRYING to be upgraded. The photos attached is of the wall and blinds in the dining area and the sunrise at Carl's Jr across the street. On behalf of our entire team, I would like to apologize for not exceeding your expectations. Your satisfaction is important to us and we will be using the feedback you gave us to implement improvements to ensure we offer a better experience for guests in the future. We do hope you will give us another try and will come back in the future. "Good location and birding nearby"
Easy to find off the freeway. Unhelpful desk clerk the first night there. Room was clean and spacious. We had a refrigerator and a microwave, which was great. There are many fast food restaurants nearby. The breakfast had an abundance of choices, hot eggs, potatoes, waffles, oatmeal...with many choices of toppings. Wow! 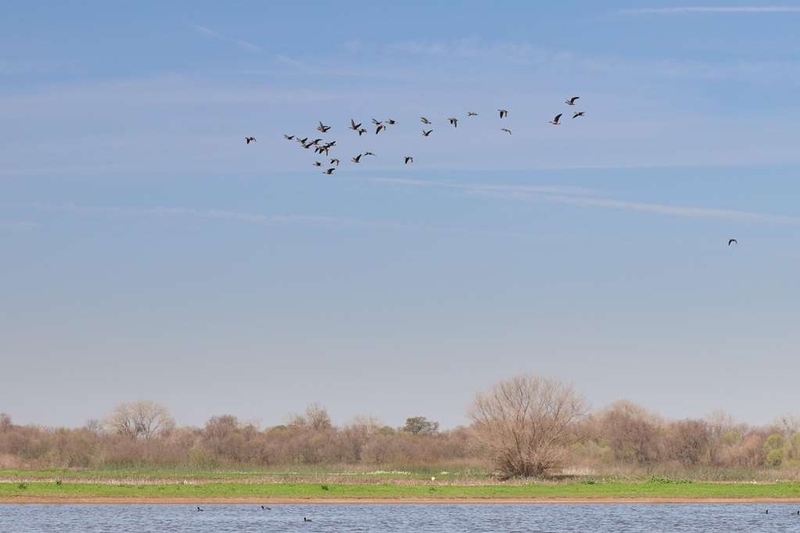 Woodbridge's ecological preserve has greater Sandhill Cranes and we saw many of them in January during migration. Consumnes River Park also has excellent nature trails and birding. Some weekends the volunteers have spotting scopes set up. Thank you for your review. We value your feedback and appreciate your business. We hope we will see you again soon. Glad to get a better rate (as compared to other options) but you get what you pay for....the room was clean and relatively quiet. The bed and pillows were really uncomfortable. The shower had a "whining" noise. Overall, was glad we only stayed one night and will likely look for other options in the future. Thank you for your review. We value your feedback and we hope you will give us another try in the future. Positives: Room is spacious and updated with laminate floors instead of the usual carpet. The bed linens and bathroom appeared clean. The showers have shampoo dispensers. And I never heard the neighbors through the walls on either side. The location is right off the freeway and there are several gas stations nearby. Starbucks and several fast food restaurants are within easy walking distance. The receptionists were nice and they kept the thermoses of coffee and hot water out. Negatives: I unfortunately got stuck with a room on the first floor near the elevator. The noise level was unacceptable. The least annoying sound was the thumping feet of the people above me. The door doesn't muffle the sound of crying children or loud adults in the hallway, either. People, stop shouting in the hallways at night!! But what was unacceptable were the machine sounds that wouldn't stop. I assume it was related to the elevator even though there was another room between mine and the elevator shaft, but I'm not sure. It would kick in throughout the night. I noticed a package of ear plugs on the nightstand, which was a first for me. That on top of the noise from the mini fridge and heater made ear plugs a necessity to sleep. Because it's winter time, having a first floor room meant jacking up the heater to the 80's to make the room comfortable. I normally sleep hot so this was an unusual step for me to take. This had to be one of the least comfortable rooms I've stayed in. Summary: I got a good deal through Priceline on the price of the room; however, if I knew that I'd be stuck with this room, the deal wouldn't have been worth it. I'd rather choose the location of the room and pay extra $. I would stay here again but only if I had a choice of room. Thank you for your review. We value your feedback and we hope you will give us another try. We appreciate your business and look forward to seeing you again. "Great location just off I-5 and West of Lodi"
We're on our way North so location on I-5 was perfect. Rooms are different with vinyl plank flooring over carpet. Thought it through as I have wondered how clean hotel carpets really are with constant use. Makes sense ! Very good Mexican restaurant next door. Good food reasonably priced. Only negative was in room fridge. Ended up unplugging as it was very noisy. Thank you for your review. We are happy you had a great stay. We value your feedback and look forward to seeing you again soon. Good night's sleep in a clean, quiet, comfortable bed. Heated indoor pool and spa, but pool is tiny. Breakfast ends at 9:30 so late sleepers are out of luck. Just down the road from excellent Michael David cafe, bakery, and winery. Across the street from Starbucks and Tortilla Flats. Thank you for your five star review. We appreciate your business and look forward to seeing you again soon. Very pleasant one night stay in Lodi. Hotel is right off the highway in a nice area with a Starbucks and a number of fast food options. The staff was very pleasant and check in was quick. Room was clean and comfortable. Breakfast was very good and included many options. Thank you for your review. We value your feedback and we are glad you had a great stay. WE look forward to seeing you again soon. We have stayed here before and have been very pleased with the facilities and the service.Rooms are clean and comfortable. The breakfast bar though small is bright and airy. The food is well maintained and the equipment is spotless. Well done Lodi Best Western....we will be back again. Thank you for your 5 star review. We value your business and your feedback. We look forward to seeing you again soon. Thank you. Thank you for your review. We appreciate your business and value your feedback. We look forward to seeing you soon. Thank you for you review. We appreciate your business and look forward to seeing you again soon. Easy access to free way, heated pool, don't get room on freeway side if you want to sleep with window open. Great breakfast. 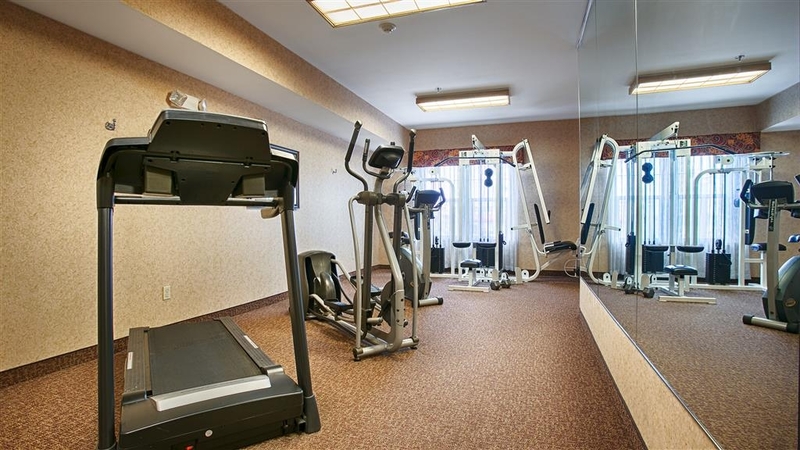 Fitness center is fine, and you will be the only one using it, same goes for business center. Staff is professional. Housekeeping is awesome. My office didn't tell me to checkout Friday morning, and they packed up all my stuff better than I could. I picked up at front desk at end of day. Thank you for your review and your 5 star rating. We are happy you had a nice stay and we hope to see you again soon. Located on the I-5 and hwy 12, near a few fast food spots, but nothing special. Basic good service and clean room. Normal breakfast for a BW. We would stay here again. Only complaint was the size of the advertised pool....... Was barely big enough for 4 people!! Thank you for your rating and feedback. We appreciate your business and value your feedback. We hope to see you again in the future. Hotel was a nice surprise, very nice room with a very comfortable bed. Friendly and helpful staff and a good breakfast in the morning. Hotel is close to places to eat and parking is easy. We would definitely stay here again. "What you expect from BW but very noisy location." Rooms and breakfast OK. Reception when we arrived at best efficient; no friendliness. But we made a big mistake choosing to sleep so close to the freeway. Heard the noise all night. There are cheaper motels, away from the freeway and closer to Lodi available, we discovered this morning. Thank you for giving us your feedback. We take all feedback into consideration. We are sorry you did not have a good stay and hope you will give us another try in the future. "Clean hotel with elegant rooms and small underground parking lot"
This hotel was a total surprise. It is located at the intersection of I-5 and CA-12, right across from the Flying J and Love's truck stops, with a Starbucks and some fast food nearby, and also a Denny's. In other words, there are plenty of conveniences nearby and it is not even a half a mile off the freeway. I was expecting a typical Best Western property (usually pretty reliable), but I was delighted to find that this property surpassed ALL of my usual expectations about BW. The room I stayed in (standard king) had hardwood floors, a spacious desk with and ergonomic chair, wide-screen TV, armchair, and a very nice bathroom with luxurious amenities (hello, Argan oil body lotion???). 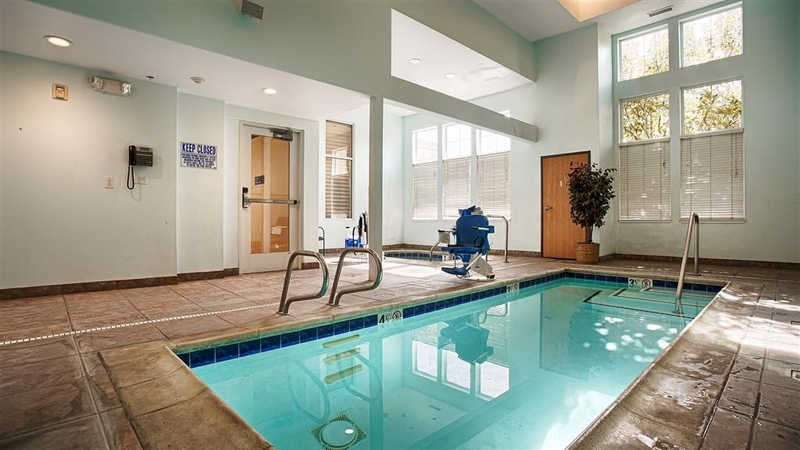 There is a tiny indoor pool, more for doing laps (less than 5' deep, long and narrow). The best thing, though, is the covered parking in the lower level of the hotel. It doesn't hold a lot of cars, but it is a welcome feature, especially in summer, when it can frequently get upwards of 90 if not 100 degrees. In sum: a great place to stay! A perfect distance from the Best Western in Albany, OR, this hotel is super convenient into bakersfield or to get through LA before rush hour. Starbucks, mcdonalds, Carls Jr and more make this a great stopping point or as a place to base out of for awhile with its proximity to the outskirts of LA, SF, and Sacramento. As always, the brand did not disappoint, everything was as expected and anticipated. Ill be here again on my way back. Thank you for your feedback. It is very important to us. We are happy you had a great stay and we look forward to seeing you again soon. Nice hotel clean & quiet with good staff that were very helpful after a long days drive from Seattle, got a good nights sleep and food with in walking distance. the breakfast was good and some fresh fruit for the drive. Thank you for your feedback and for reviewing our property. We are glad you had a good stay and look forward to seeing you again in the future. "Spur of the Moment Turns out Great"
Looking for a place to stay and we came to the town of Lodi, CA. As opposed to the CCR song, "Stuck in Lodi Again" this was a great hotel. It was clean and service great. They had a full meal breakfast that was free. They also sold wine bottle behind the registration. The room was great, lost of room, a great bathroom and very clean. You can't go wrong by staying here. Quite a number of high quality restaurants within five miles. Thank you for your review. We are happy to hear you had a great stay. We hope you will come back again soon to visit. Your business is very important to us and we value your feedback. 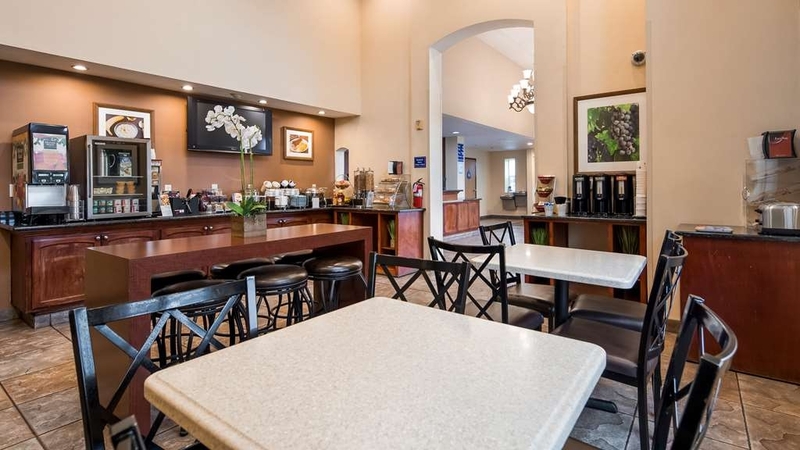 "Excellent find for last minute hotel hunting"
Stop at Lodi and checkout the Best Western hotel. Great price and on a very convenient location. We stumble on this hotel on our way to Los Angeles from Seattle. Most hotel we called were all booked or if there is an availability, one has to pay a high price. We saw this hotel from the freeway and took a chance. The place is very nice, clean and great size room. Price was also very reasonable. They even provide water and snacks. Thank you for you comments and your feedback. We are glad you had a pleasant stay and hope you will use us again in the future. We look forward to seeing you again and servicing you. I have stayed at this hotel many times in the past and have always founfd it to be clean and comfortable, The staff is great. The rooms are very well equipped and comfortable. I LOVE the beds. I have a bad back and after spending a few nights here, my back pain improves. Very nice mattresses! I also love that there is a soap dispenser built into the shower, along with shampoo and conditioner. The decor is very nice and even though it is next to the highway, you seldom hear the noise. I love this hotel and will continue to stay here when I am in the area! We are happy you like out hotel and have had a nice stay when you come. Thank you for your review and all the comments. We look forward to seeing you and servicing you in the future. See you soon! Very nice hotel. Staff is friendly and accommodating. Rooms are clean with bare floors. Air conditioning was excellent. Breakfast bar small but well maintained. Excercise room was in good condition. Refrigerator froze our drinks so we had to adjust the thermostat. Free cookies at front desk. Will stay here again. Thank you for your comments. We are happy you had a good experience and look forward to seeing you again in the future. Hope to see you soon. "20 hours of Driving- perfect place to stop for the night." We arrived at 145 am and the front office staff were very welcoming. The hotel was clean and the breakfast was perfect for us. A quick bite before getting back on the road. Thank you for your service and a comfy bed to lay our tired heads! We are happy you had a good stay. Thank you for your comments and we look forward to seeing you again in the future. Very lovely hotel. The service was great. We had a problem with the thermostat and a maintenance gpcame immediately and put in a new battery. The girls at the front desk helped us find an eatery. A.ll in all great service! Thank you for your comments and feedback. We are happy you had a good stay and We look forward to serving you again in the future. "Very unhappy with this hotel." We booked our room with Reward points. The room had no closet or luggage rack. We had to put out suitcase on the floor. We hung our clothes over the back of the chairs. No iron or or ironing board. The coffee packets were sticky. Couldn't get the wifi to work. After several tries, resorted to using our Hotspot. The washcloths and towels were thin and scratchy. The sink didn't hold water. I'd rather have stayed at a Motel 6 if this is what Reward members get. Thank you giving us a review. We are sorry your stay wasn't what you expected. We value your feedback and will use it to improve on the different areas you recommended. We hope you will give us another chance and we will see you again. "This place is terrible. Not a Best Western Plus"
We stayed one night March 12, 2018. The room was very expensive $147.87. The most expensive Best Western we have ever stayed at. The heater/air con in the room did not work. The bathroom faucet barely turned. The hairdryer was defunct. The back door of the hotel did not close, allowing anyone to come in. There was a row during the night which lasted an hour. The police came, guns were reportedly drawn. The owner/manager claimed he was not the owner or manager and shifted the burden of my inquiry to a woman employee. When I complained of the above defects, it was he who argued with me. Customer service was un helpful. I did finally get a discount applied to my bill. When I called Best Western they told me this hotel was not a Best Western Plus. They credited me enough points to get a room at some, not all Best Western Hotels. If you go on YELP you will see many many complaints, of dirty conditions, roaches and rudeness. How this place got a good rating on Trip Advisor is a mystery to me. Don't trust Trip Advisor. Use YELP. "A good place to stay when visit Lodi right on the I-5 -"
Coming from Oakland, the Best Western is the first large hotel coming to Lodi town. It is a typical BW with nice rooms. Nothing fancy but all you need to stay for a good night. Their breakfast is included in the room rate. Again, it is a typical BW breakfast including self made waffles. The location of the breakfast room is the worst place it could be in the hotel .... between the lobby level elevator and the hotel entrance/exit door. This is creating a lot of problems for people leaving the hotel and those taking their breakfast!! This MUST be reviewed and changed! Thank you for your feedback. We appreciate all the comments and suggestions. We will give your suggestions a look and thank you for staying with us. We look forward to seeing you again in the future. Very nice room, clean and comfortable, very quiet. I like it. Will definitely stay again. Many fast foods restaurants nearby Starbucks across the street. Gas stations near by..and there is a Walmart and Target three miles down the road. Everything you need close by and a quiet place to unwind and some rest. Thank you for your feedback. We value are guest feedback and suggestions. We are happy you had a good stay and look forward to seeing you in the future. Thank you. "Roomy Comfortable Lodging at a Reasonable Price"
We stayed in a suite that included two television sets, a king bed, desk and chair, and a sleeper sofa. The room and bathroom were large, well appointed, and very clean. If we need to stop for the night while travelling on I5 we will definitely stay here again. Thank you for taking your time to review our hotel. We appreciate your feed back and look forward to seeing you again in the future. "This hotel is meant for I-5 drop ins only"
We stayed at this property because I had enough points for a free night and we had driven down to visit our son. But we won't be staying here again, not even complimentary with points. It just doesn't feel right to me. Too many problems. They advertise an indoor pool but one person would feel crowded--that's how small it is. More like an oversized tub. This is an overnight stop for folks on I-5 and that is all. I would like to apologize for not exceeding your expectations. Your satisfaction is important to us and we will be using the feedback you gave us to implement improvements to ensure we offer a better experience for guests in the future. On behalf of our entire team, we apologize. "It Can't Get Any Worse"
Hardwood floors in hotel rooms make the guests room below and on each side feel like they are in a drum. The lights short out. The heater doesn't work. They check us into a room, we get settled and then the auditor calls and says we don't belong in the room, that we were actually checked into another room. That was after we were in bed!! The hallways are very dirty. The staff has a one size fits all answer to everything, “I don't know”. This place is terrible! We will not stay here again. We have multi-le times because of the location but always have something going wrong. This time it was the A/C and shower. Eggs were not good at the breakfast also though I enjoyed the waffles. I travel I5 often, spending a night in California in transit each time and for whatever reason had never needed or noticed this hotel, right on the freeway. Basically, everything was excellent. Everything you want in a name brand. Clean, affordable and convenient with super amenities. Hotels have gotten competitive. I know, I use them all the time. Best western has proves itself to be consistently great over the last 2 years. Thank you for taking the time to provide feedback of your recent stay, and we are sorry to hear that it did not exceed your expectations. Your satisfaction is important to us and we hope you will give us another chance and stay with us again. Construction in elevator. Very noisy in the evening. It sounded like furniture was being scraped across the floor in the room directly above mine. This made it very difficult to go to sleep. There was a hair in the bathtub. "Best Western Motel Lodi, CA"
Even though I was just passing through BW knows how to keep their guests happy. Clean rooms, new beds, and fast internet with breakfast in the morning. What more could a business traveler need, I have been a traveling Construction Superintendent for some time now so I have spent many a night in Hotels and Motels, you can trust my experience in this area. Thank you for staying with us. We look forward to seeing you again in the future. Thank you for the review. Hope to see you soon. Booked to avoid driving over an hour home after a company party. Chose this place due to location and that they have an indoor hot tub/pool. The pool is small but good for small kids to play around in. Thank you for staying with and for giving us your feedback. We look forward to seeing you in the future. We will use your feedback to help improve future stays. Thank you. The hotel was pretty good, however, if you are planning on taking a shower you would be better off going on a water ride or throwing cups of water on yourself. It is unfortunate because the breakfast and room was nice, but if you can't take a shower in the morning and is a no deal. NO WATER PRESSURE AT THIS HOTEL. "not as good as rated"
Best Western was clean, friendly and professional. The breakfast quality is better than continental, but not much. Everything else was excellent! Beds are warm and soft and very comfortable. Rooms are very clean. Bathrooms are real nice. Thank for your comments. Thank you for staying with us. We hope to see you soon. And look forward to make your stay excellent. I had a great experience at the hotel. The breakfast was good and the room was clean. 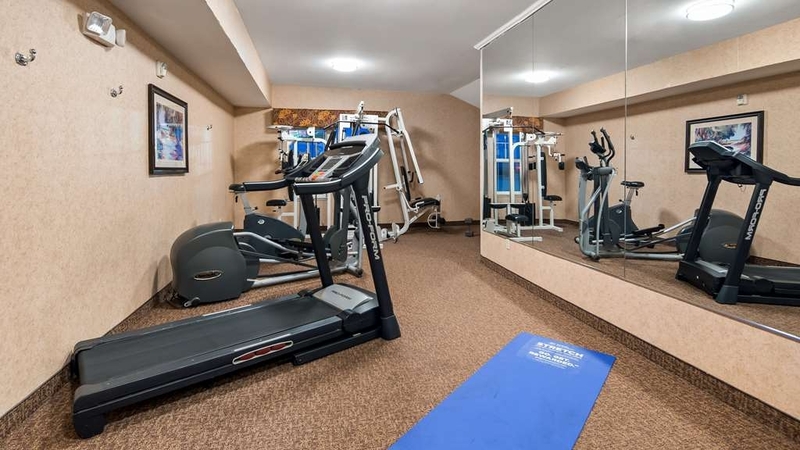 The hotel had internet, the workout room was small but did have tread mills. Over all the stay was good and the staff was very polite and helpful. I would recommend the hotel to everyone. Thank you for taking your time to review your stay. We are happy to enjoy your stay and look forward to having you hear in the future. Thank you for staying for us. A short hop on I-5 to Stockton for family wedding made this a perfect overnight stay. It's right at Lodi exit surrounded by fast food restaurants (Starbucks is closed). Room is clean with nice engineered wood flooring. Good fridge with large freezer and a microwave. All very basic. Breakfast basic. Would stay here again if i had to. Thank you for staying with us. We look forward to having you join us in any of your future stays. Starbucks is OPEN now. Thank you for your comments. Hope to see you soon. My wife and I were on our to Disneyland California which is a 1500 mile drive from our home. We chose to break up our trip and our last stay before Disneyland was to be in Lodi. 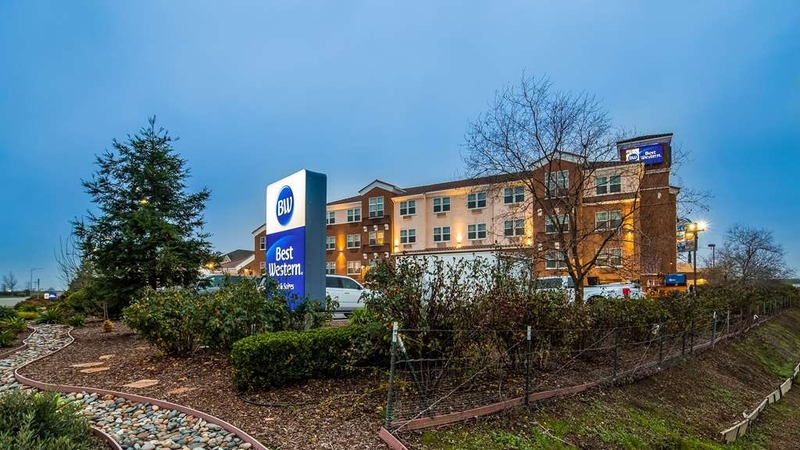 We chose the I-5 Best Western based on the proximity to interstate 5. We had a beautiful room and very comfortable bed. Had a great stay and we were well rested to reach our final destination the next day. The reception staff was very friendly and helpful, the room beautifully updated. My reasons for not giving an "excellent" rating: bed was too soft, the coffee packets had not been refilled from previous occupant. Overall, nice stay with good value for the room. Thank you for Your business, it is very important to us and we value your feedback. We will use your feedback to help improve our business. We hope you will come back and see us again. "Consider Guests on lower floors." I am a member of two other Chain Hotels. Stayed in this BW because of an emergency on our trip. Have stayed in several other BW's. Most were very nice. This one is also, except for a BIG issue I personally have. I like top floors because I don't like the noise of people above me, walking on their floor/my ceiling. I got a top floor room in this hotel, BUT, the chairs at the desk/table did not have casters and were very noisy when moving them. I felt sorry for those under me. This hotel needs to consider things like this. Thank you for Your business, it is very important to us and we value your feedback. By telling us what you liked about your stay and how we can improve, you are helping us deliver a superior experience for you and other guests in the future. We hope you will come back and see us again. Very comfortable bed in an attractive room. Close to some simple restaurants. A pleasant and helpful young woman checked me in and gave me a small bag of refreshments. For a glorified truck stop this location is not bad. It is close to Interstate 5. "Best Place to stay in Lodi !" Have stayed at this location numerous times, have never been disappointed.... Excellent trained staff, helpful, takes care of their customers. This Best Western is always looking at ways to upgrade their building, remodeling the rooms, floors, dining area and now the lounge area presently undergoing an upgrade. 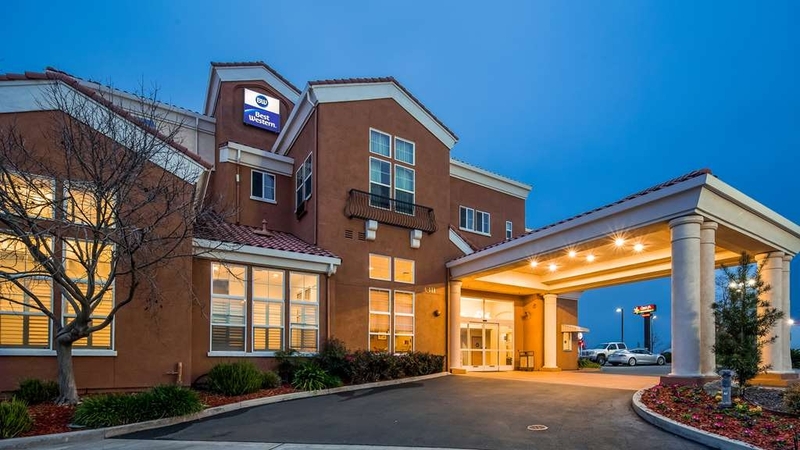 This particular Best Western in Lodi, CA is best place to stay with easy access to restaurants, not to mention getting on and off the I-5 to North or South.... I will definitely stay here again. There was no hot water in the shower. I alerted the front desk upon leaving for the evening. The next morning they still had not addressed it or reached out to me. The following morning I didn't have a shower and they gave me a $22 credit. This still brought my room charge over $100. A disappointing experience to say the least. We stayed at the Best Western I-5 Inn during our wine tasting stop in Lodi, and had a pleasant experience. 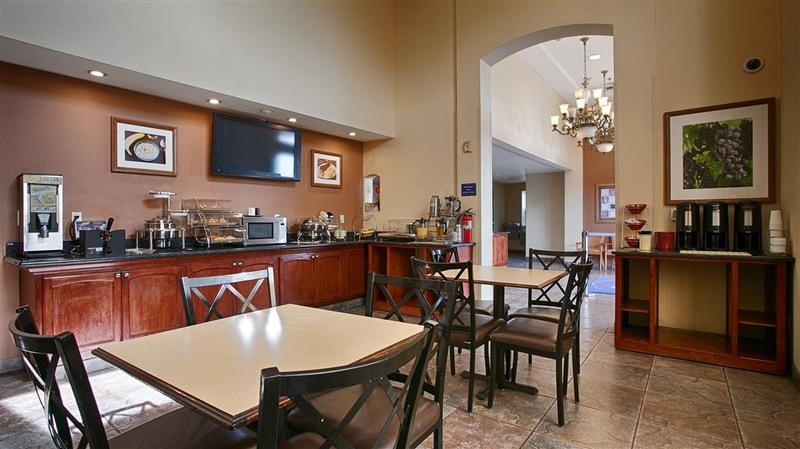 This BW is in a great location, close to the freeway and main highway (but not noisy), with very clean rooms, and a great breakfast; overall this Best Western was up to expectations and is an excellent value. This inn is fine for a one night stay. There must be construction in the area. Most of the people staying while we were there were construction workers with large trucks, but there were no problems with them. Our TV was not working and the girl at the front desk came right away and worked to resolve the issue. Water pressure in the shower is very low, but the room was clean. The refrigerator in our room was noisy, so we did unplug it in order to sleep. "Dog Barking and Fire Alarm Problem"
The web site stated NO PETS and at the front desk there is a sign NO PETS. There was a dog 3 doors from our room that barked into the night. We went to the front desk to complain and found out that many others had already complained. The lady at the desk said she called the room and nobody answered and there was nothing she could do. We needed to get a good nights rest to drive the next day. The fire alarm panel was in trouble with a problem. The fire doors to the elevators had trash cans in front of them to hold them open. These doors are to close when there is a fire. This should be reported to the fire marshal. We will not stay at Best Western again. Thank you for taking the time to share your comments about your recent visit as it allows us to improve our services to better serve our guests. We are sorry we did not meet your expectations. Your satisfaction is important to us and we will be using your feedback to ensure we offer a better experience for future guest. Very much enjoyed our stay. Rooms and site were clean. Enjoyed the indoor pool and hot tub. Breakfast was hot and fresh with lots of options. Staff very helpful with directions and questions. Will definitely stay there again. Overall, the stay was average. Our air conditioner was not working 100%, and they were working on the hotel. No noise though. The staff was okay. The room was very clean, and we slept great. Breakfast could have used more fruit, but the overall selection wad good. Ok rooms, some remodeling done. We stayed during their construction process. Slight odor from the a/c unit limited staff that night. Only one working two hotels front deck. Noise with truck traffic in the area. "Needs to finalize an upgrade"
Our room very clean and I am very picky. Love the floors no carpet and beds very comfortable. Breakfast was one of the best we have had at a Best Western with plenty of seating. If in the area will stay again. "Average but priced well above average"
Hotel room was good, while the rest could use a cleaning and paint job. Parking is not adequate. Price was very high considering the quality of the property. Breakfast, was a typical product for this type of hotel. This is one of the nices BW I have stated in. Great location great service and lots of parking. The breakfast we clean Best and nice variety. The rooms was clean, beds very comfortable. I will stay at this location the next time I'm in Lodi. On major roadway halfway to our final destination. But I was sorry that the cable package did not include PBS, my primary commercial-free viewing network. There was a grab bar in the shower; good for unstable senior, who appreciated it. We have stayed here several times for wine tasting and concerts. It is a good location for these activities. The staff are always very helpful and the rooms are clean and comfortable. I prefer the corner rooms because they are have more room space. "Better than Nearby Lodi Motels and Very Convenient Location"
Price for our travel during first week of June was much higher than other weekends - not sure why as there wasn't a big event in Lodi at the time. Ask for a corner room as room has two walls of windows. Breakfast better than most other motels. Very easy and accessible from Interstate 5. Clean and comfortable nice rooms. Had my Best Western rewards points used for both free nights, so definitely worth the stay! Staff was friendly and nice and had no problems with any of the features in the rooms. 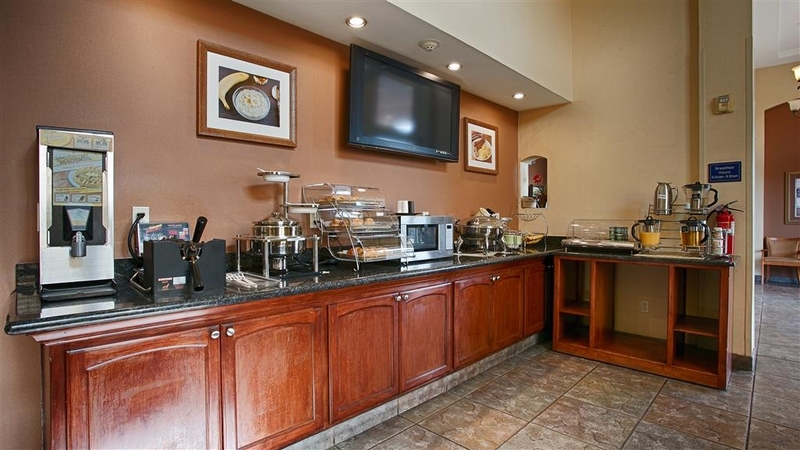 Hotel conveniently located to I-5 with ample food and fuel options next door. Hotel staff courteous, room comfortable with everything in working order, compliments to the gal in the breakfast area for keeping food and liquids properly replenished, the area picked up and clean, tables cleared as soon as guests left. "Not first on my list of best area hotels"
The room, linens were clean. Overall the room was comfortable. I was not certain what the cleanliness and maintenance upkeep on the room would be like given the lobby, elevator and hallways are dingy. The elevator stinks. You must take the elevator to access even the ground floor rooms. Customer service was ok. There is a gas station across the street, but no other eateries or retail stores in the immediate vicinity. The hotel is right off the highway, easy to access and locate. If I had to stay here in a pinch, I would, but I have other local area preferences above this hotel. Really surprised at how nice Best Western is and affordable. Nice complimentary breakfast, indoor pool and nice large bathtub. Very comfy king bed. Next trip we will definitely look for a Best Wester to stay in. We stopped in Lodi as it was a convenient place to stop. The swimming pool was disappointing as the size was extremely small. The hot tub was comfortable and worked well. Room was quite and comfortable. Breakfast was a little less than desirable. "not a great best western"
Have stayed at Best Westerns before and this one was not one of their best. The decor definitely needed updating and improving and the breakfast area was very small. It was right off the highway. We only stayed one night and was happy to be leaving in the morning. "just another day at work for me..."
Love this hotels, very nice area, the staff very helpful, the room was remodel, lovely room, clean. The bathroom was very nice, clean, next time I would stay again when I am in this area. I would recommended if you around in this area. It is very convenience off freeway high 5, and have all the restaurant around. "Not a great stay for a best western"
One of the staff members was hopeful the rest not so much one had her boyfriend hanging around all the time at night shift ignoring customers. The furniture and one of the two beds had stains on them. The toilet bowl looked like it hadn't been washed in months. And the pressure in the bathtub/shower was very very low. "Overnight stay in Lodi on road trip to Paradise"
We decided to break up our road trip to Paradise (Calif) into 2 days. It just made the trip seem not as long. We decided on Lodi because we like wine tasting. This BW I-5 Inn is freeway close and not too far from Old Town Lodi. After we checked in, we put our luggage in our room. Nice room, good air conditioning, clean bathroom. We set off for Old Town for wine tasting & dinner. When we returned, the hotel was quiet and the beds were very comfortable. We had a bit of the breakfast buffet, checked out and got on the road. Room was clean. No carpeting in room, but tile floor throughout room was clean. From end of hotel I was in (northwest corner; King room), I could hear the 5 freeway when at the window. I wore earplugs at night (which is normal for me anyway). Remote control to TV super easy to use (a lot of hotel remotes are NOT). Elevator a bit slow, but ok. Room was fine for a one night stay. This hotel, that online bills itself as gateway to wine country, is noisy, rooms older, lots of artificial air freshness used, under window noisy slog of an air conditioner and the mattress is soft, and not in a good way. The staff from check in, breakfast area, and housekeeping were very nice and welcoming. In our room the shower pressure was about non existent. The bathroom sink was clogged and slow to drain. Still, we had a good nights sleep. Enjoyed the breakfast. We had a great experienced with our stay at BW. I booked three rooms for our family. We were very happy with the service and quality of the hotel. Will visit this hotel again in July for our sister's birthday weekend. Will recommend to families. I always have an excellent stay at Best Western. Good quality all around. Room had everything I needed and wanted: Cleanliness, comfort, price, convenience to freeway, appearance, breakfast. When I traveI always look for a BW. We were traveling to southern California due to a family emergency. After driving 12 hours, we were very pleased to find a Best Western Inn along that part of 1-5. Very clean, very quiet, and we would stay there again. When I booked this hotel it was a Best Western Plus. I was excited to try it because it is a relatively new hotel and I travel to Lodi annually to visit my family. I usually stay one week. Unfortunately, the hotel lost its "Plus" rating between the time I booked and the time I checked in and I was not advised. If I had been advised, I would not have stayed there. It does not meet the standards of a Best Western Plus. When I checked in, the hotel required full payment in advance which I considered odd but I didn't object. In hindsight, had I not prepaid I would have checked out the next day and found other accommodations. I had arrived late and tired and was too tired that evening for any hassles. When I arrived at my room, it was very clean. There was no carpet in my room -- it was a faux wood floor. There was no bathtub, just a shower, which I do not mind. There was smoking residual in the air although it was a non-smoking room. Unfortunately, the hotel appeared full and no other rooms were available. The bed mattress was extremely firm. Between the cigarette smoke smell and the hard mattress, I did not sleep well. I usually swim when I travel to relax. However, the pool here is extremely small. I could be from one end to the other in three strokes and I it felt as if I could almost touch both sides of it when I extended my arms. The free breakfast bar was basic, but there were only 4 tables in the breakfast area -- too small and inadequate for the number of guest rooms. Guests chairs would hit each other when guests were seated. Some guests ate standing up, while others took breakfast back to their rooms. On the positive side, the staff here was always courteous and friendly. I have no complaints with them. There were several newspapers in the breakfast rooms to share each morning (USA Today and a local newspaper), which I appreciated. Parking was free. Still I personally would never stay here again for the reasons I stated above, nor would I recommend it. I am aware that there are many good reviews of this hotel on Trip Advisor so it's clear that it pleases some people. If you do decide to stay here, AAA has a discount for this hotel that reduces the current price from approximately $130 per night to $117 per night. Room clean, breakfast was good, service excellent! Special Thank You to Maurice for going above & beyond his call of duty! We stayed with our dogs for a local dog show at Sycamore Lane Kennels. Had a great time! "Fantastic rooms - clean and great decor"
We loved the size of the rooms, hardwood floors, modern decor and very clean!!! So comfy. Our stay was wonderful. The full breakfast free for guests included sausage patties, scrambled eggs, potatoes, oatmeal, waffles, cereals, muffins, croissants, toasts, juice, yogurts, fruit and coffee/tea. Great hotel chain. Right off I-5. . The room was comfortable and clean, hotel staff helpful and efficient, and room rates affordable. Unfortunately, the location near Interstate 5 results in noticeable "road noise". Also, television channels were very limited. "Over priced for Best Western across from a Truck Stop." The hotel was clean as were the rooms. The floors in the room were a vinyl that looked like wood which made them very cold. The beds were hard and their 32"? tv was set in letterbox and not hooked to HD so it had a very dark picture. We could barely read the news ticker tape. There free continental breakfast was lacking. Truck traffic noise at all hours. The girl at the front desk when we checked in was nice. The couple that was there when we left only glanced up while we were walking out. The $150 per night is not justified but at the time, we had no choice because we were evacuated for flooding. Thank you for writing this review as it is very much appreciated by our staff. I have shared your comments with the staff as we take all of your concerns very seriously. While we do apologize and understand your concerns, I can assure you that we will work more diligently to make sure that these issues are addressed and do not reoccur. 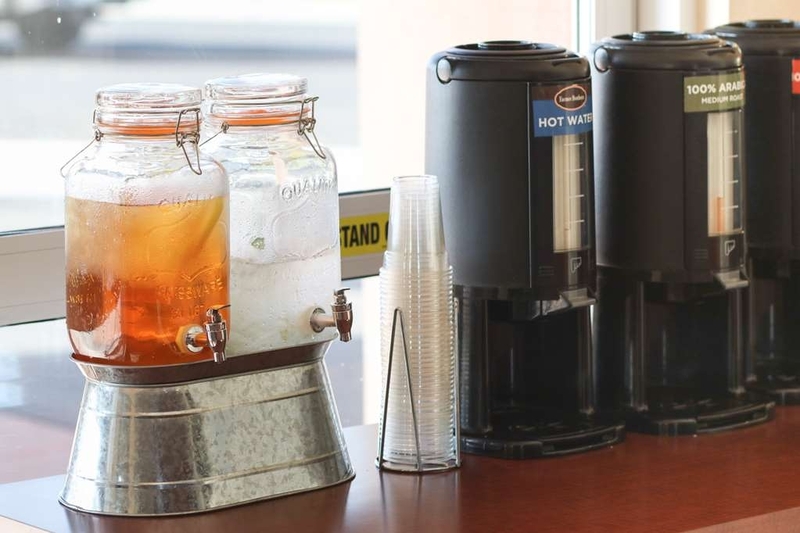 Guest satisfaction is our highest priority here at Best Western I-5 Inn & Suites. I hope that we will be given another chance to redeem ourselves the next time you're in town. Very clean hotel, first time I have seen wood floors in rooms, nice touch, check in staff was awesome, very helpful. underground parking, safe and clean. Breakfast staff, not so much, there were two individuals, seems to have their own conversation, didn't say hi and poor at meeting the customers needs. Overall good location, many places to eats in the local community. Thank you for taking the time to share your comments on your recent visit. We extend our appreciation for your compliments of our facility and service. We appreciate your compliments regarding our hotel being in a good location and look forward to welcoming you back soon. Maria, Maria, Maria and more Maria! I cannot thank her enough for all the help she's given us reserving 4 rooms this past weekend. First, I reserved 3 room two months prior, however, a family member decided last minute that they wanted to stay at the location as us. I called the 800 number and I was told that they were completely booked and sold out. This did not stop me from checking online, yet to no avail. So, I was determined to keep researching around with a comparable rate we had; when I could not find anything, I tried one more time, I called the facility and lo and behold Maria answered and she informed me that there was a cancellation and that my timing was perfect. She proceeded on reserving the last room we needed and on the same floor with the family. It worked out perfectly! We agreed that the rooms were clean and nice as they were all hardwood floors. The breakfast selections were few but satisfying, they had a typical waffle iron like every BW Inn have but this one a little different, when you open the iron it has 4 slots so you come out with four small waffles. =) Ample of scrambled eggs and sausage patty to go around but no hard boiled eggs at all =( There were also a small fridge that stored the yogurts and a carton of milk. One suggestion: Get there right when they open at 6AM as it gets crowded and no where to sit as the facility only had 4 tables and a bar in the middle to sit. The only down fall of this stay was one of the rooms had a faulty AC. We notified one of the attendants before we left for the event, she assured us that she will check it after her break and that it will work when we returned. Upon returning that evening at around 11:00 PM another shift took over, so I asked her briefly if the previous lady had a note or informed her of the broken AC unit in one of the rooms. She looked at me and said that she just got there and she has no knowledge regarding the AC, I said we will give her a call once we get upstairs to see if it the AC was restored, she looked up at us and did not say anything. When we all returned to our rooms we noticed that there was no air flowing and guess what? Yep, the AC was not fixed at all. So my husband decided to call the front desk and no one answered. Granted it was 11PM and all but if she just got there..........? Anyway, the sticker on the unit says controlled by a thermostat on the wall but we did not find one at all. At this time, we were all frustrated and tired, so my husband decided to fiddle with the unit and after trying several times, it finally worked. Gradually, he turned the dial back and forth and the air was stagnant no more. Tired, unclean, unhelpful staff, internet does not function, powdered eggs for breakfast, broken down furniture. What else can go wrong? Tv channels did not work, very little water pressure, unfriendly reception. I was a little apprehensive about our stay, due to previous stays at other Best Western hotels around the country. I must say, I was pleasantly surprised by this hotel. The rooms were nicely sized and very clean. Our king bed was very comfortable (although other friends that stayed at the same time had queen beds and said they were not very comfortable). I did not partake in the daily breakfast, but was told it was pretty good. I'd say the only negative was the elevator, it's painfully slow. The highlight for me was the staff. Everyone we interacted with were super nice and very helpful. That right there is one of the most important things for me when I stay in hotels - nice and friendly staff. I've stopped at this motel a few other times. I always get a good rest here. 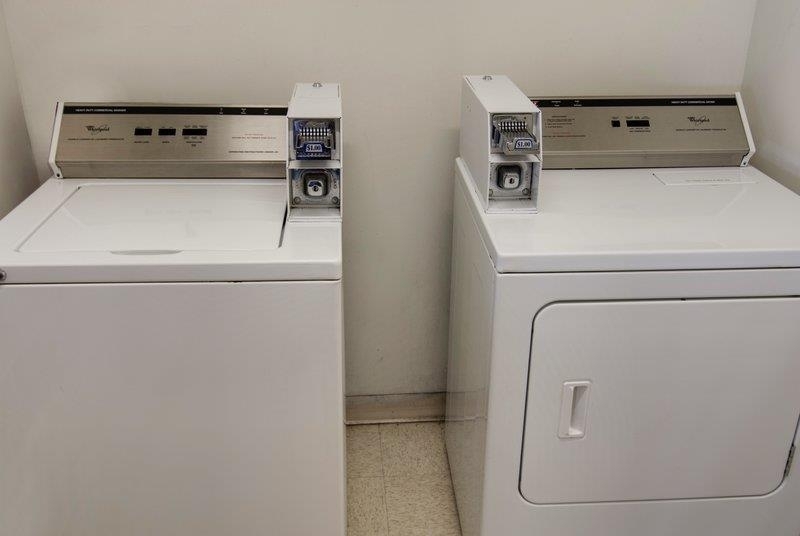 It's clean and friendly, the staff has always been very helpful. Easy on and off freeway, food and gas right there. I recommend it to those traveling through this area. Since the room was close to freeway, the noisy level was high so our sleep quality was not good. The room that was given to us had a bad cigarette smell, so we did not have a comfortable breathing. Other than that, hotel was pretty good. 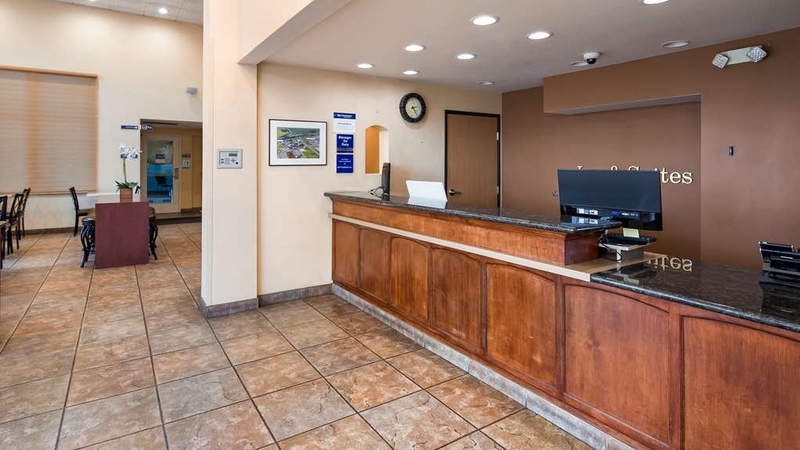 The Best Western I-5 and Suites was located almost exactly between Grants Pass, Oregon and Los Angels; making it my preferable stopping place during this particular trip to the South Bay of Los Angeles. Easy access with numerous restaurants and gas stations added to the excellent reputation of Best Western Inns. We met up with some other family members to see where they work and go to school in the Bay Area. I felt very safe in this hotel. It had plenty of parking. It was quiet. It wasn't right in town, so that was a plus for us. There were plenty of places to eat and gas stations right around the hotel. We will definitely stay there again. 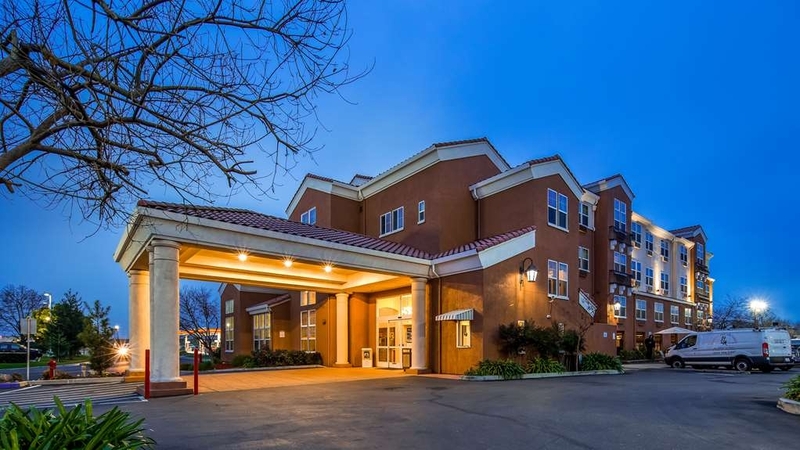 "Convenient to I-5 and Lodi Wineries"
Picked this Best Western, because we've had excellent experiences at them. Was not disappointed. 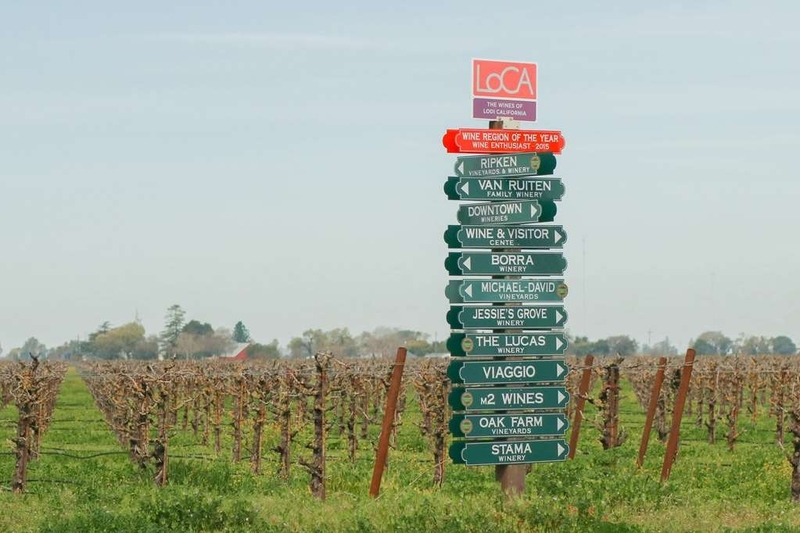 Hotel is just off I-5 in the California Central valey and very convenent to the L:odi, CA Winery country with many wine tasting rooms available in downtown Lodi after the regular winery tasting rooms close for the day. The minor downside of the hotel was that it was slightly noisy, which was expected due to it's being almost at the foot of the freeway off ramp.It was a little bit of a surprise to find the room floor was laminateand not carpet. The laminate flooring gave a clean feel to the room. "Convenient place to stop on way to San Francisco"
Stayed at the Lodi Best Western I-5 Inn and Suites on our way to San Francisco. It was a convenient place to stop for the night. There is a McDonalds, Burger King, and Carl Juniors within walking distance of the hotel. Shower water did not get very warm. Went down for breakfast at 7:30 and they were out of eggs and sausage, but other than that, it was okay. This is a fairly large 4-floor hotel right beside the I-5. It has a small lobby and very small breakfast room beside it. Parking is convenient in a parkade under the hotel, serviced by the main elevator. This kept the car cool overnight. The room was typical, but with only one comfortable chair, so one person had to sit on the desk chair. We had to use our cooler in lieu of a side table between the chairs. The bathroom was attractively finished with granite counter and tub surround. The one maintenance item we noticed was that the digital thermostat was coming off the wall – it had not been installed with wall anchors, and we had to prop it up to make changes in temperature. For room selection we recommend an even-numbered room, because they face away from the freeway. We had an odd-numbered room on the second top floor and due to the under-window air conditioner, we heard semis on the freeway for much of the night. Restaurants near the hotel are all fast foods, though there is a Denny's across the secondary highway. In the morning, even though the entire hotel is non-smoking, we immediately noticed a heavy smoke smell the entire length of the hallway on our floor, and it was evident that the maids had not reported it to the front desk. Breakfast was fine but the quantity of hot food was small. However, it looked like the continental food selection was being replenished regularly. We might add that the elevator is a very slow one. Overall, the hotel was clean and satisfactory, and certainly easy to find, but definitely only an average to slightly above average hotel. In our opinion it is not up to the 4 rating it currently is showing. Nice roomy room, microwave, fridge, shampoo, conditioner and body wash dispensers in shower and nice showerhead, coffee maker and a decent free breakfast. Clean and smells good. Thermostat in room so you can control the temp. Free wifi, works good. If you are looking for a hotel with a nice pool, forget this one. The pool is the size of an elongated hot tub. Not even long enough to do laps (20 ft. Maybe) and just about as wide as one lane. 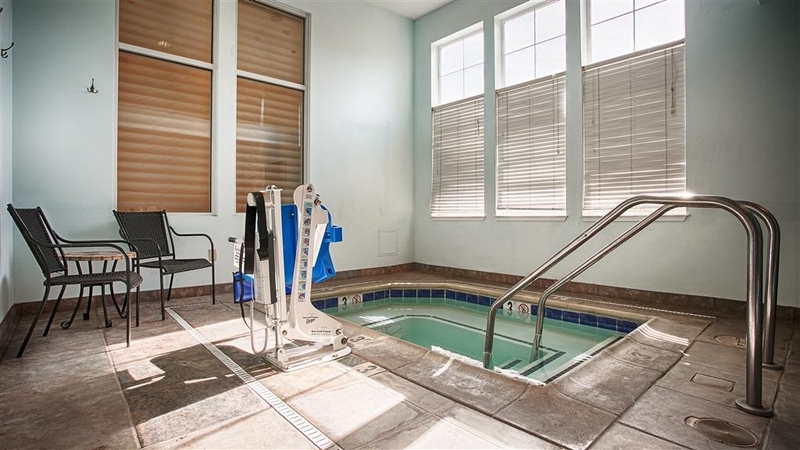 There is a hot tub/ jacuzzi separate. The truck stop is across the road and you can hear the traffic noise very well. Right off the freeway, about 5 miles out of Lodi. The location was excellent. Easy to get off and on the freeway. Checking in early in the morning was quick and easy even though I did not have a reservation. Staff was friendly. Rooms are clean and quiet. Free breakfast was excellent! 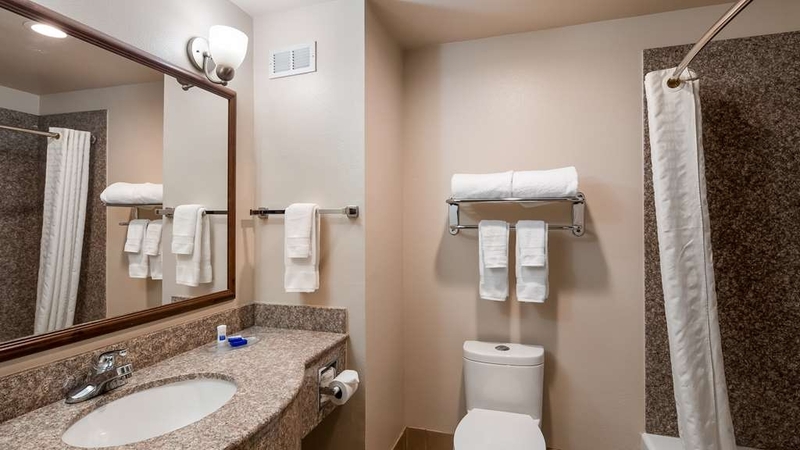 I have been staying here at this location off and on for over 8 years and this Best Western is one I can always count on to be up to my standards, quiet, clean and friendly. Morning breakfast is always fresh and provided with a smile. It's not often your lucky enough to enjoy complete relaxation while traveling. I can honestly say I look forward to my return trips. The staff was so helpful and welcoming, rooms were immaculate. We requested two rooms 4 adults and one dog. Quick check in and check out. Friendly service. Continental breakfast was fresh and yummy! I would recommend everyone to stay here over the competitors in the area! Location was great. Off the I-5. Very close to all amenities, lakes, wine tasting etc. Great place to stay and for the price is pretty good. The pool very small for kids is great. The breakfast is also good no need to go out and eat at a restaurant. The staff was extremely helpful and kind. Room was clean and had the extra pillows and blankets for the pull out bed. Although close to the freeway, none of the traffic noise could be heard in the room. It was nice to park in the small garage below the hotel. Kept the car cool and clean, along with making it feel more safe. We were attending an event taking place at the KOA campgrounds in Rio Vista. This was a great alternative to staying in cabins with small beds. The breakfast was more than adequate. The rooms were clean and beds comfortable. The location is near the freeway, it looks like mostly truck drivers use this hotel for overnight trips. If you're looking for an inexpensive hotel stay, this place is decent and clean. It's only a few miles from several wineries. But if you're looking for a place to stay for leisure, I'm not sure I would recommend this place. Their indoor pool is double the size of my bathtub. It looks like one of those pools used for therapy. Room smelled strongly of stale cigarette smoke, no closet in room. Fitness equipment was either broken or in dangerous almost broken condition. Room refrigerator was very noisy, room air conditioner smelled stale. This is an average motel in a good travel location with friendly staff & great beds. Close to fast food, gas, etc. Even though close to I-5 freeway, it was quiet at night during our May stay. Nice hot breakfast with scrambled eggs, sausage, etc. Parking garage underneath, but with narrow exits for SUV's. Only a few minutes drive to Lodi Wine Country & nice restaurants, wine tasting, etc. or few minutes to Stockton. Also close to newer large shopping area "outlet stores" at 8 Mile Rd. Had I known that this hotel allowed smoking at all, I would have reconsidered my lodging options while staying in Lodi. We stayed this past weekend - the staff was very courteous, the hotel was clean, and the breakfast served daily was quite good. The only downside is that they allow smoking in the hotel. We stayed on the first floor (technically, the second floor, as there are no rooms on the ground level). While our room was not designated non-smoking, it didn't smell too bad of smoke inside the room, so we didn't ask to be switched. However, the entire hallway from the elevator or stairs down to our room reeked of cigarette smoke. It was so bad that my children were coughing every time we walked down the hallway. My in-laws also stayed the weekend and were on the floor above ours in a designated non-smoking room and their room smelled worse than ours at all hours. Everything we brought with us, whether it was in our suitcase or not, came home smelling like cigarette smoke. I was terribly disappointed, especially since there was no escaping the smoke because it lingered throughout the hallway - almost as if someone had just smoked a cigarette in the hallway every time we walked out our door. If it wasn't for this one thing, I would certainly give this hotel a better rating, but this is a deal-breaker for me and I will not be returning to this hotel. Furniture, remote, and refrigerator were gross! Pool is tiny. This location is near 2 major truck stops, so the noise from traffic is non stop. Everything was tolerable except for the food all over the desk, the disgusting remote, and the unknown but abundant amount of substances on the desk chair and the cloth chair. The fridge had not been wiped out in quite some time. The only issue with this facility is the lack of parking spaces. I have a full size pickup truck and had to push my mirrors in so I didn't strike any other vehicle as I was parking.The staff are helpful, room was clean, bed was comfortable and breakfast was satisfactory. I thought that this hotel was fine but had no character. Maybe I was just hoping for something else in Lodi -- much like their interesting downtown area. However, if you need a hotel for a night, it's fine. We greatly appreciate your wonderful comments regarding our property. Our staff takes great passion in taking care of our guests and we are pleased to see that we were able to meet your expectations during your stay here with us. It would be our pleasure to welcome you again soon. Thank you for choosing Best Western Plus I-5 Inn & Suites. I made several stops here over the course of 2 months. The rooms were spotless, smelled clean, and seemed to be recently remodeled. Great beds, TV, Internet access. The bathroom was spacious, spotless, with granite countertops, and handicapped shower. Very Nice! The only negative is the parking. There is a tiny parking garage, thats very hard to navigate, unless you drive a smart car, and a small parking lot outside. Thank you for sharing your feedback on your recent visit. 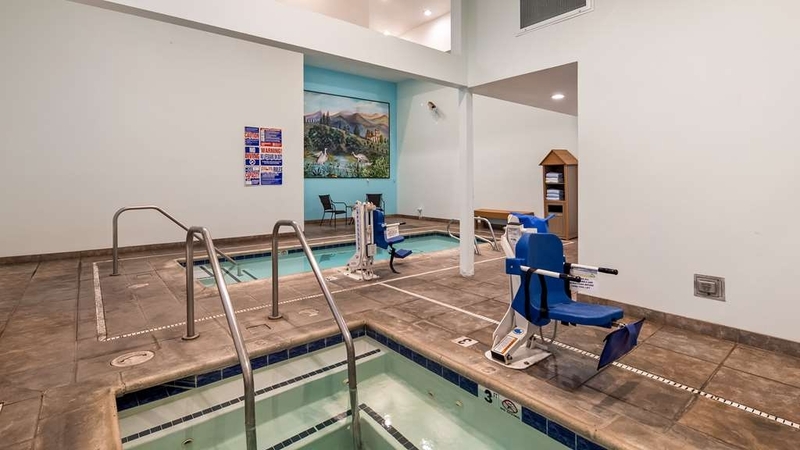 We are thrilled to see that you enjoyed all of the amenities that we have to offer. 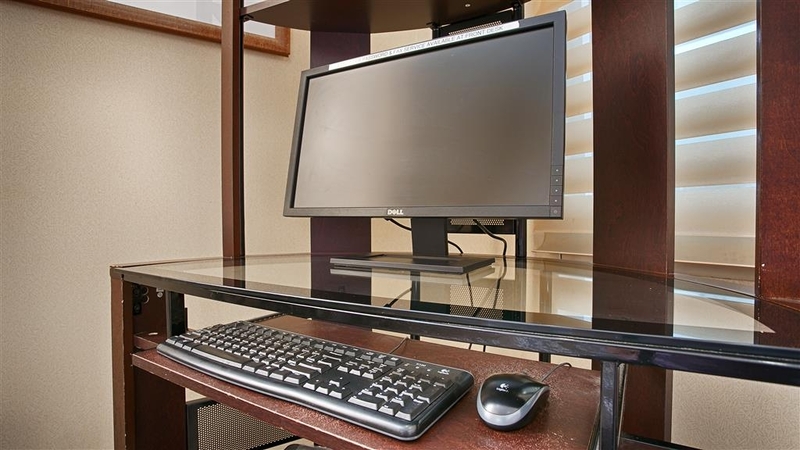 We offer great proximity to the restaurants, shopping, and the nightlife of the town. We look forward to seeing you on your future trips to Lodi. Thank you for choosing BEST WESTERN PLUS I-5 Inn & Suites. These type of hotels have greatly improved in their service and amenities. For the value, they are excellent, no problems with parking (free), clean and safe. Sure beats paying three hundred dollars a night for a full service hotel. Locations are great, gas and food within walking distance with many choices. Thank you for writing a positive review regarding your stay. We value your review as it enables us to continue to improve and provide better service for our guests. We truly pride ourselves on providing attentive and exemplary guest service. I am delighted to hear that our staffs' commitment on room cleanliness and friendly staff transcended during your stay. We look forward to welcoming you back. It was very busy when I checked in and the young lady at the desk was very nice and handled everything very well. Evidentially the website had some reservation dates wrong and I was one that had a problem. They found a room for me and fixed everything. The room was nicely decorated and very clean. I did have to unplug the fridge because it was making weird noises. The bed was comfortable. Since I was on the third floor, I opened the window at night to have some fresh air but had to close it and turn the AC on because the outside air became stinky. The room and staff were nice and the rate was good do I would stay here again. "Stay at Lodi Best Western Plus"
Great stay! Room was a good size and clean. Bed and pillows were very comfortable. Staff was very courteous and helpful. Hotel provided voucher to Denny's (across the street) for breakfast - this worked out very well. This is not a new hotel, but it has been kept up very well. It has a certain charm. Room was clean and cozy, staff friendly and helpful. Small indoor pool and spa..again, very clean. Nice breakfast was provided. "Didn't Sleep here but the Customer Service was outstanding"
Yesterday, there was a big storm moving through Northern, CA. My sister and I were driving from Citrus Heights, CA to a funeral in Los Banos, CA. The weather was awful, the winds were about 30 miles and hour and the rain was coming down. I had to use the restroom so I keep looking for an exit that had fast food restaurants or gas stations. We ended up getting off at Banner. I pulled into the McDonald's, we got out of the car and ran to the entrance, there was a guy in the window and he would't let us in because the power was out. We got back in the car and drove around and everyone's power was out and nobody would let me pee. I ended up driving over to the Best Western and the gentleman at the front desk waived me around to a side entrance (the lobby doors would not open due to power being out). I asked him if I could use the restroom and he said, "of course". I needed by cell phone for the flashlight, but I was just happy he let someone, who was not a customer use the restroom. I can tell you the restroom and the lobby were clean. :-) So, a big THANK YOU to the man/owner of that Best Western for being so nice! "Friendly staff; clean; good stay"
Just stayed over night. Check-in and check-out was easy. Easy access from I-5. Plenty of parking. In fact, we parked 50 feet from the front door each time. Our room was clean and spacious. Breakfast was your usual, but it was good. I would stay here again. "As conveinent as it gets!" The BW+ I-5 Inn and Suites is located a short distance east of the I-5 intersection near Lodi. It has several locations nearby for dining and refueling. The room was quiet and comfortable, with a small table for in room dining, if you chose to do so. The included breakfast was very nice with a good selection. A unique feature of the motel was that there was a good selection of local wines available at the check-in desk! There is also covered parking underneath the building. Lodi BW is an easy off and back on from the I-5 - always clean and comfortable. Staff is friendly - now offering a selection of local wines at the front desk. Walking distance to Denny's for dinner - or short drive into town for more choices. Everything about this overnight stay was appreciated. The night clerk was professional and welcoming. No guest was left unacknowledged. The amenities in the room as well as the comfort of the bed was excellent and very much enjoyed as we were at the end of a vacation and very long drive heading for home. The day time clerk and waitress in the breakfast room were efficient and friendly. 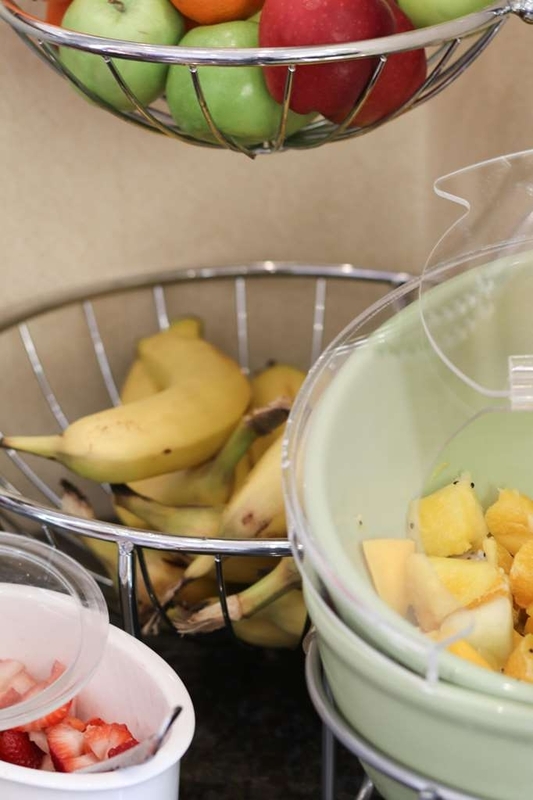 We travel to and from Portland several times a year and have not found anywhere with the cleanliness, friendly and efficient staff and the quality of the offered free breakfast. We will stay again. Not a bad deal for $65; not worth $100 [tax incl] Next time will try the Microtel next door. Toilet was broken, had to switch rooms. Morning coffee was not hot, barely palatable; so weak almost just hot water. Better quality overall than Motel 6 but just barely, except for the excellent breakfast other than the coffee. "Newer with very nice features!" This is a newer hotel right next to Interstate 5. It is not so close that freeway noise is a problem in any way though. Our room was large with a sofa and two flat screen TV's, one in front of the sofa and the other in front of the bed. I had a good sized closet and a medium sized refrigerator. It also had a small bar with a sink outside the bathroom. The bathroom had a large counter big enough to place the items we needed for our travels. The ac/heating unit was in the exterior wall and was controlled at the unit. It was plenty quiet. The room included a good sized desk and executive chair. The whole room, including the bathroom was in very good condition. There are no ground floor rooms and it is multiple stories. They do have an elevator, but it is slow and we often found ourselves taking the stairs down. Breakfast was ready promptly at 6 am every morning. It was adequate, if a little limited in selection and variety. It included the usual fare of make-your-own waffles, eggs, sausage, yogurt, toast, cereal, oatmeal, fruit and juices, coffee and tea. The tea selection was very limited however. And a couple of mornings the water for the tea was not hot, just barley lukewarm. When we checked in the young lady at the desk was very helpful getting us settled in our room and I found all of the staff to have very pleasant, problem-solving attitudes. It is not in the town of Lodi, although the address is as such. It is about a 5 to 7 mile drive to various places in town, but most of it is at 55 mph on Highway 12. They have some underground parking under the hotel for the really hot or rainy days. There are several fast food restaurants very close by, but for better fare a drive into Lodi is necessary. Check in and out were excellent. the bed had a hair ball when I pulled back the covers that grossed me out but it was very late and I was too tired to argue with anybody about it. Breakfast was good, the place is clean and easy on and off access to I-5. This hotel is located close to the freeway and vineyards. Nice small hotel. Breakfast room is small and limited selection. But what they do have is good. Employees were very nice and helpful. Would stay again. "Out of town with TINY pool"
We are very glad we stopped off to explore Lodi. We were disappointed that this hotel has a Lodi address but is not in Lodi so we had a bit of a drive each way in the evening and next morning when we wanted to spend more time in Lodi. We also selected this hotel because it advertised a pool. You might consider it a therapeutic pool as it's posted capacity was 6, yes 6. We didn't even bother to get in. Be careful staying here and watch your transactions with your bank of choice. I was charged three times on the first reservation then when I checked in and once more the next day. The stay was nice I liked the location for what I needed. OK for a quick overnight stay. A bit pricey for Lodi, in the middle of nowhere. Clean room, a bit noisy since it's close to the highway. Dang refrigerator was NOISY... Otherwise, we'll stay there again on our way north. I was in town for a funeral and just needed a place to sleep. It was easy on and office Hwy 5. The area had a few hotels and a few fast food places that you could walk to from the hotel. It was clean and I felt very safe staying there alone. The hotel was clean and nicely decorated. The rooms had coffee makers, frig and microwave. Free WiFi always a plus. Nice breakfast in the lobby including scrambled eggs and sausage. The gals at the front desk were nice. The pool is SMALL and inside. They have under ground parking which was nice. Will stay again if in the area.